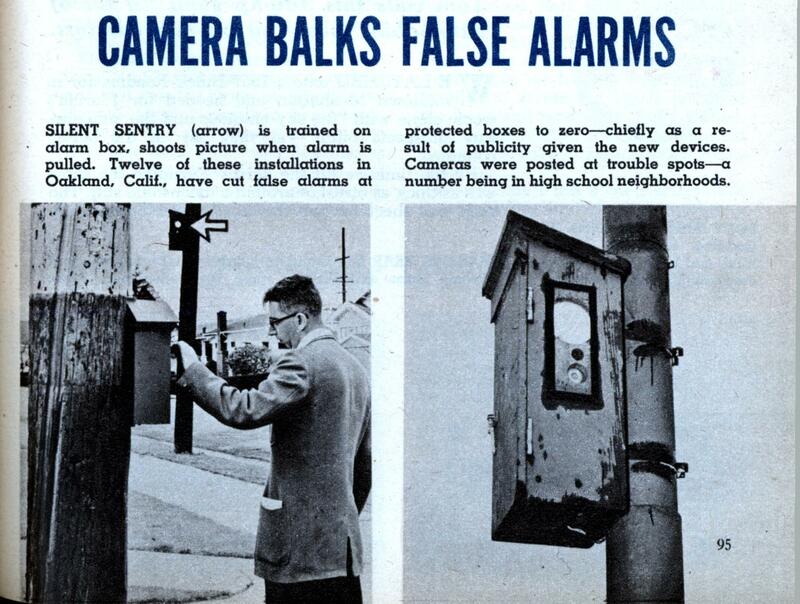 SILENT SENTRY is trained on alarm box, shoots picture when alarm is pulled. Twelve of these installations in Oakland, Calif., have cut false alarms at protected boxes to zero—chiefly as a result of publicity given the new devices. Cameras were posted at trouble spots—a number being in high school neighborhoods.